At Faulkner Chrysler Dodge Jeep Ram FIAT, we strive to keep our Mechanicsburg consumers up-to-date about the features that are offered with our vehicles. 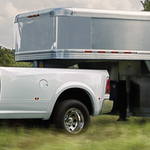 If you are in the market for a heavy-duty pickup truck, the Ram 3500 is an ideal choice. It is a popular model because it comes with innovative exterior features that you can check out below. The Jeep Wrangler is a great type of vehicle from the Jeep brand. We are always happy to have the latest Jeep Wrangler at Faulkner Chrysler Dodge Jeep Ram FIAT. One of the best things about the Wrangler is that it has different editions available. Each of them has its own set of features that make it stand out from the other just enough.